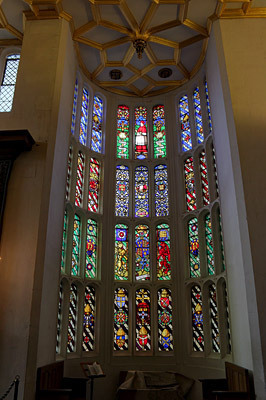 Stained glass window off the Great Hall at Hampton Court Palace. Photo May 2015. This is a full view of the same window from the November 29, 2017 Picture of the Week where I focussed on Wolsey up at the top.